The Town Once Known as "The Winter Film Capital of the World"
Movie buffs used to call Jacksonville, Florida, "The Winter Film Capital of the World." Thousands of shoots took place in Jacksonville during the golden era of silent films. Unfortunately, the majority of those films were destroyed as technological advances introduced accompanying soundtracks. Though it's no longer considered the Hollywood of the East, the First Coast still appears in a handful of notable modern films shot either partially or fully in Jacksonville. You can visit the locations of many scenes from these movies. The 1954 black-and-white horror classic "Creature from the Black Lagoon" was one of the first films shot in 3D. Parts of the movie were filmed in Jacksonville, while most of the underwater scenes were shot at Wakulla Springs near Tallahassee. The movie sequel, "The Revenge of the Creature," filmed a pivotal scene at the Lobster House, a popular riverfront restaurant with views of the Jacksonville skyline. The original building burned down in 1962, but you can still visit the iconic location, occupied by River City Brewery. Much of Demi Moore's 1997 drama "G.I Jane" was shot in Jacksonville. The Navy SEAL training scenes during Hell Week took place at Huguenot Memorial Park. You can still see the ships that provided the beach scene backdrops at Naval Station Mayport across from the park. The 1988 film derived from the internationally popular Swedish children's book character Pippi Longstocking was partially shot at the WJCT soundstage in Jacksonville. Other scenes were filmed on nearby Amelia Island, mostly in and around Fernandina Beach. "Tigerland," a war drama starring Colin Farrel, was partially shot in Jacksonville. The most notable Jacksonville scene took place in an alley behind the historic Florida Theatre on Forsyth Street downtown. This Christian-themed independent film, shot entirely in downtown Jacksonville and at a house in Ponte Vedra Beach in 2008, was based on a Karen Kingsbury novel also titled "Like Dandelion Dust." The film stars Mira Sorvino and won more than 30 awards. 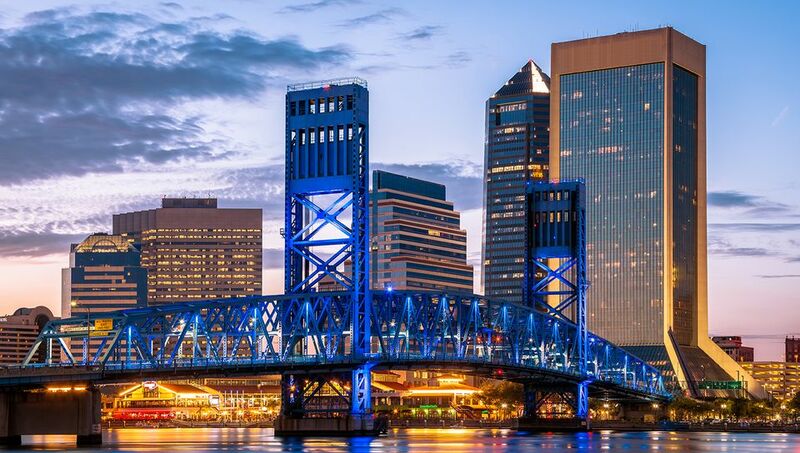 A romantic comedy starring Ben Affleck and Sandra Bullock, "Forces of Nature" was primarily filmed in South Carolina and Savannah, Georgia; however, the bridge scene toward the end of the film was shot in Jacksonville and the city is mentioned by name once. Parts of the 2004 remake of the classic film "The Manchurian Candidate" were shot on Amelia Island, and one scene was shot in Huguenot Memorial Park on Heckscher Drive. The film stars Denzel Washington. This 1998 drama was partially shot in Jacksonville, although the majority of the film was shot in California. It stars Halle Berry, Vivica A. Fox, and Lela Rochon as the widows of 1950s doo-wop singer Frankie Lyman, who wrote the hit "Why Do Fools Fall in Love?" This 2006 movie stars John Travolta as a police detective chasing down the notorious Lonely Hearts Killers, played by Salma Hayek and Jared Leto. It was largely shot in downtown Jacksonville, with some scenes filmed on Amelia Island. Set locations included the Riverside-Avondale district and historic parts of downtown Jacksonville.